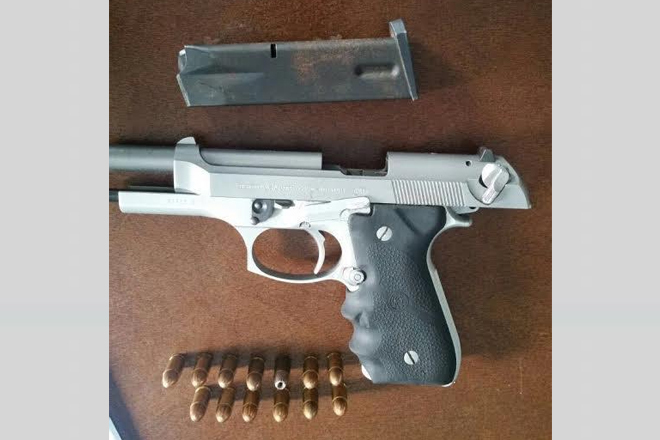 (ZIZ News) — A Stop and Search Operation executed by the officers of the Special Services Unit (SSU) and the Anti-Drug Unit on Monday October 24 lead to the discovery of another illegal firearm. According to reports, the discovery was made in the St. Johnson’s Village region. Seized during the search was one .9 mm pistol and 13 rounds of ammunition. Two persons are currently in custody in relation to the discovery. This brings to 27, the number of illegal firearms found in 2016. A total of 21 illegal firearms were discovered in 2015.